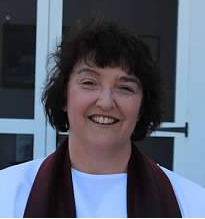 Mary Catherine White, Gorham, NH, was ordained a priest on June 20, 2015. She holds a BS from the University of Maine, and is completing her MTh through Global Ministries University. Mary formerly served as Director of Religious Education and Parish Outreach Coordinator. She currently is a Certified Family Mediator and Guardian ad Litem with specialized training in substance abuse treatment. Mary is part of an inclusive faith community in the Berlin – Gorham area. Mary and her husband, Adam, are avid motorcyclists. Mary has two adult daughters, and one grandson.